Oh please, someone make Halloween last at least until November 15!!! 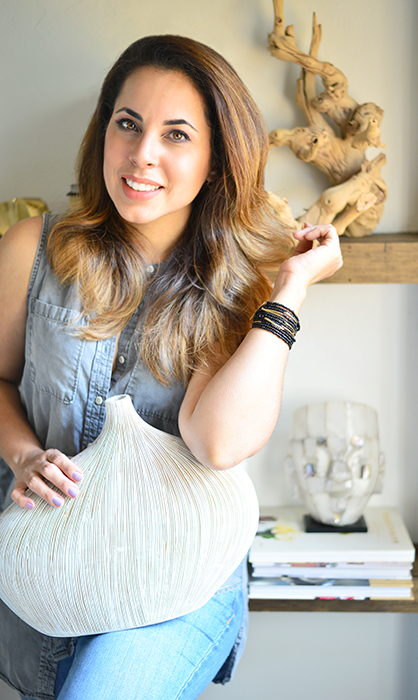 Did you know that I definitively love this holiday? 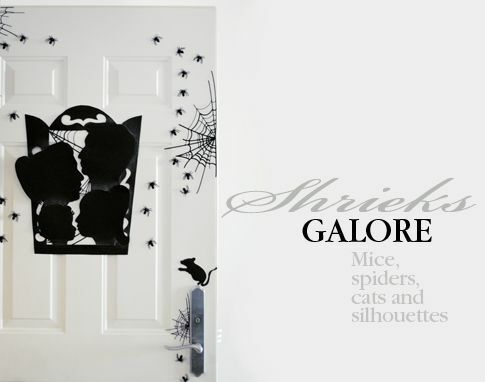 Although it might seem like an irony, on this new project I used silhouettes and mice which have always make me shriek. There are some people who believe that in order to overcome your fears, you have to confront them. So here I tried to do so by combining all those things that I might have a little fright to, and convert them into a creative opportunity for my front door. The first item on my door are my family’s silhouettes. These are made out of each of their profiles, including mine. With my phone, I took several photos of them and then drew their silhouettes on a black cardboard. Another option for this project would be to take a picture of yourself (or someone’s) and print it black and white on regular paper, to the desire size. Cut it and use it as a template to trace. Martha Stewart has a tutorial on this where she used it on a pumpkin. Here you can see how they did it. The final items for my Halloween spooky door were some spiders I bought at Target. The bag had like 50, but I did not used them all. In order to place them on the door, I used strips of magnets which I cut in smaller sizes. These come with glue on one side, making this task very easy to do. I also used the magnets on all my silhouettes, since I did not want to ruin the door with double tape. 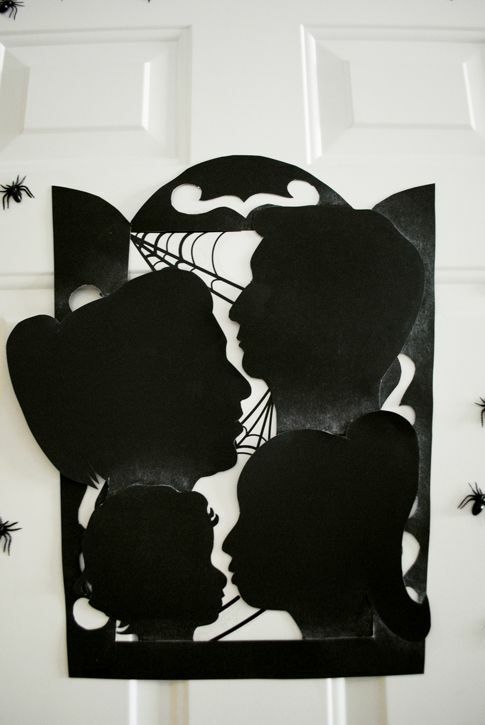 For the spiderwebs I placed here and there, I used Halloween wall decals (also available at Target). These are peel-and-stick and were very easy to reposition in case I did not like how they looked. At the end I guess I conquer my fears, and the best part is, I’m very proud of the effort. 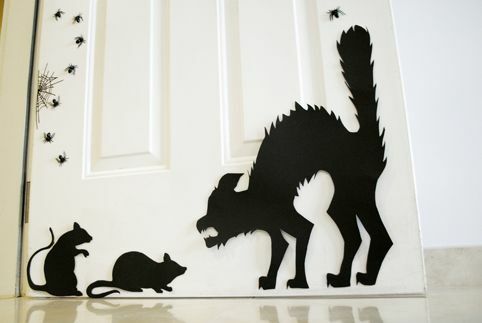 Let me know what are you using on your door on this Halloween. 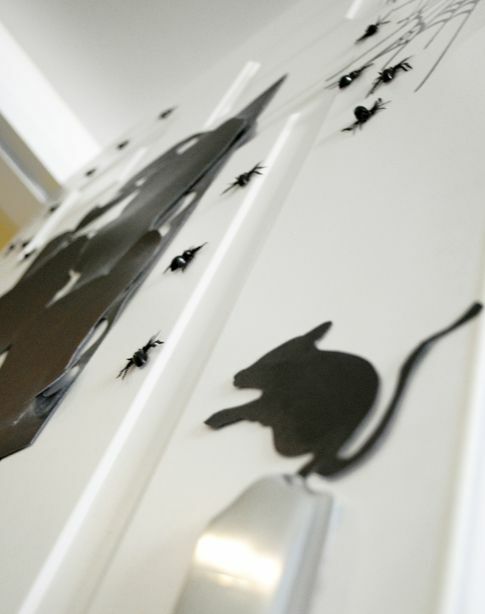 Remember you can also see more great ideas on my Halloween Pinterest board here. 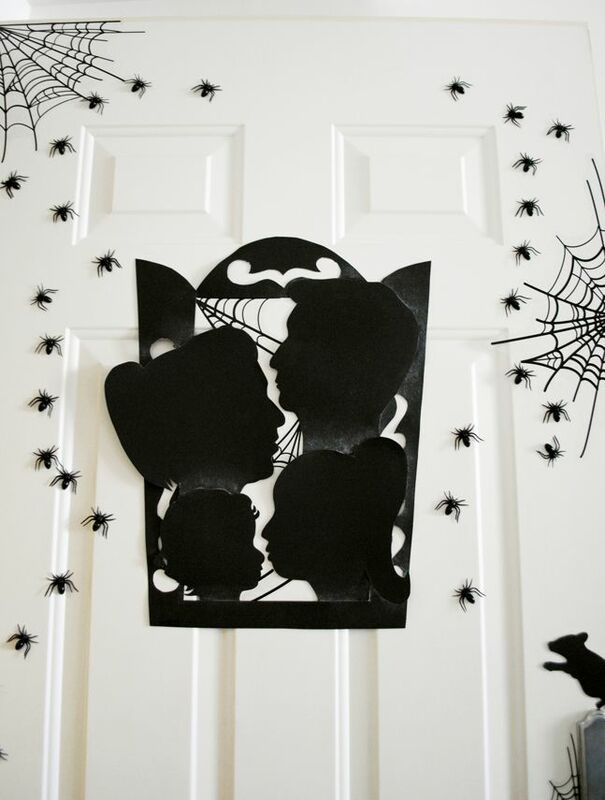 Hope you liked my spooky door idea!